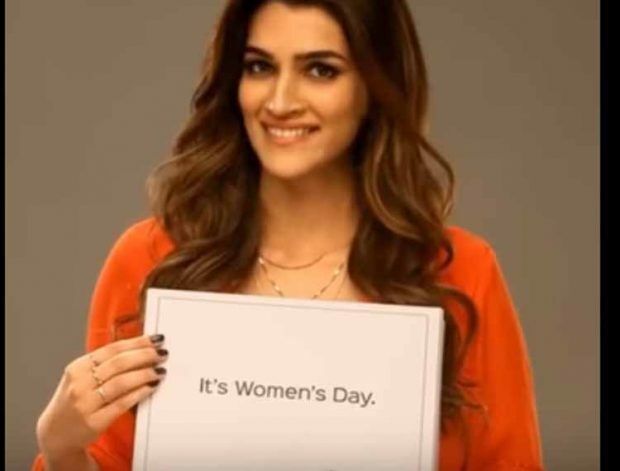 Kriti Sanon Bollywood Actor has a take on this International Women’s Day, which is an indeed thought provoking. We all celebrate Women’s day, wishes each other. Facebook, Whatsapp messages are full with these messages and some are trying their hard to pamper their ladies on this very day and also “Not to be Forgotten”; some people have to crack jokes over wives as well. But to all these People, Kriti Sanon is asking very fair question. watch this and ask yourself…Is this So?